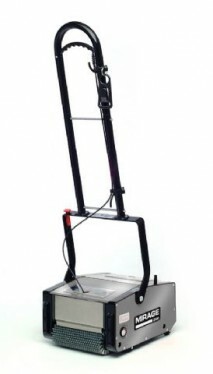 This 25cm wide cold water scrubber is capable of cleaning any type of floor surface. Fitted with 2 contra rotational brushes and a unique pick up system, it will clean up to 300sqm per hour while reducing both chemical and water usage by as much as 90%. With stainless steel tanks, anodised aluminium body and fitted with its own wheels for ease of mobility, this scrubber is ideal for use in hotels, motels, hospitals, aged care facilities and other such establishments.